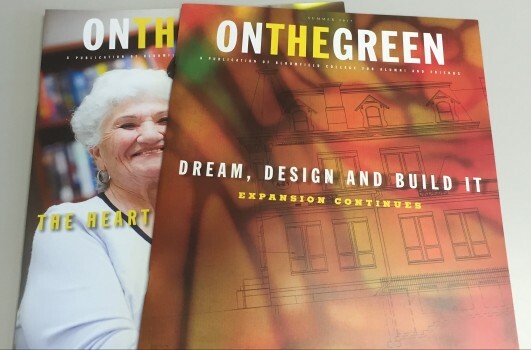 I just wanted to congratulate you all on more recognition for our publication, On The Green. We have been awarded a MarCom Gold Award in their 2015 competition, which is a pretty big honor in this field. Special thanks to Eric for recommending the competition. Thank you all so much for all that you do in making this magazine a success. I could not imagine working with a better group of people. I have learned so much from each of you, and I hope you all keep working for the next 30 years so I never have to work with anybody else.